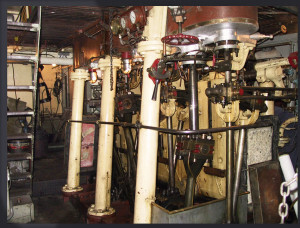 The Master’s engine, produced in 1916 in the UK by William Beardmore’s Speedwell Iron Works Co. in Coatbridge, Scotland, was originally built for a British mine sweeper. 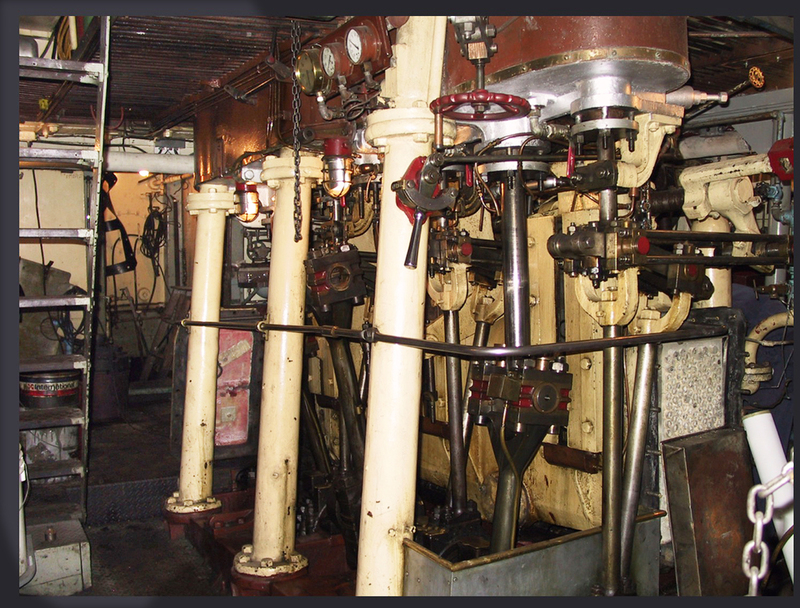 The engine was never used and after the war, the engine was sold as surplus and fitted to the Master. The engine in now almost 100 years old and after over a million towing miles, it is still in original condition and running well. 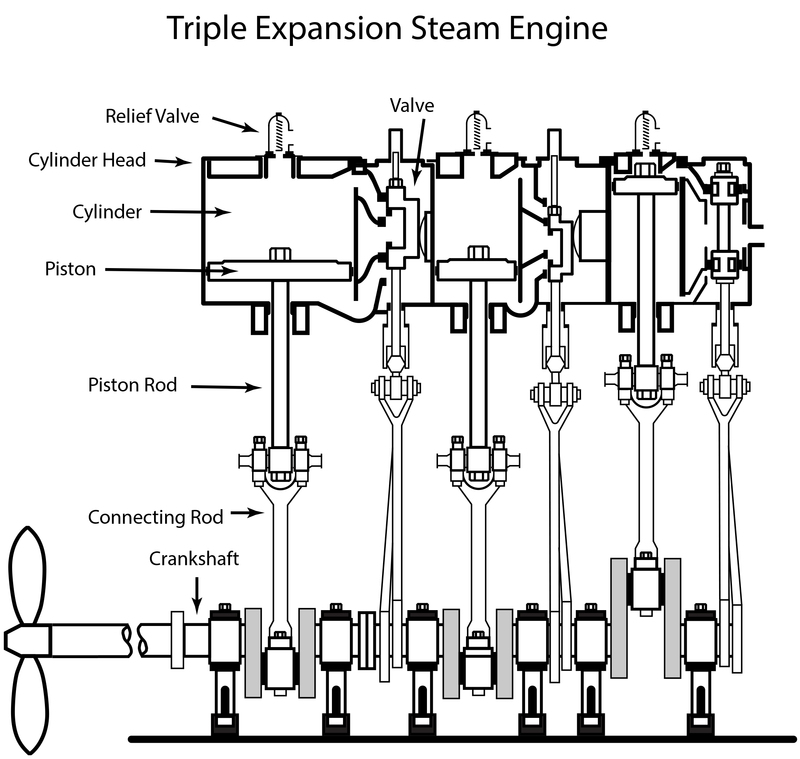 The diagram below is a typical example of a triple expansion, double action steam engine. 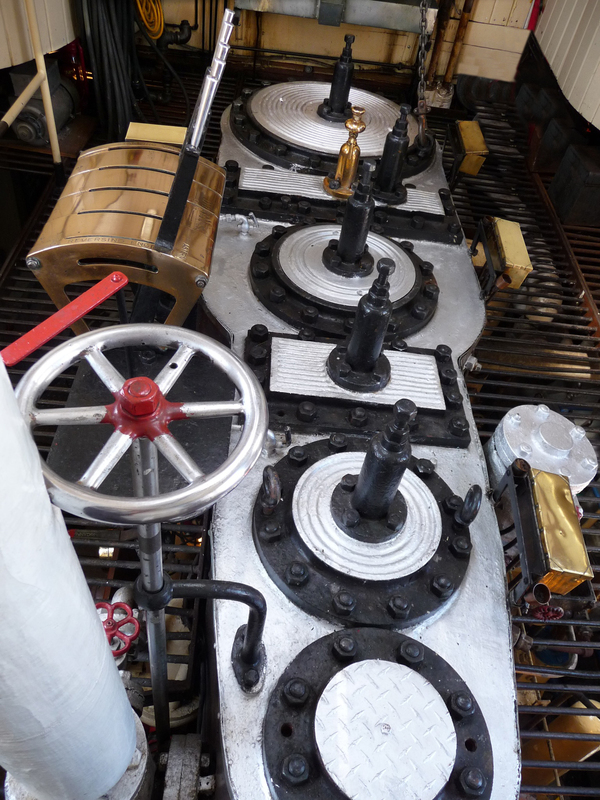 High pressure steam enters the high pressure cylinder from above the piston, pushing the piston down. 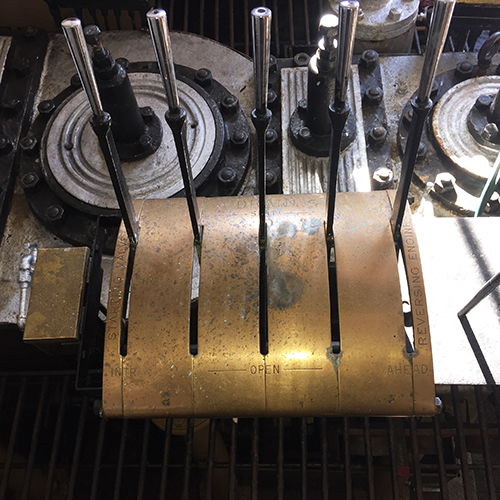 When the piston reaches the bottom of it’s stroke, the high pressure valve shifts and high pressure steam enters from below the piston, pushing it upwards. 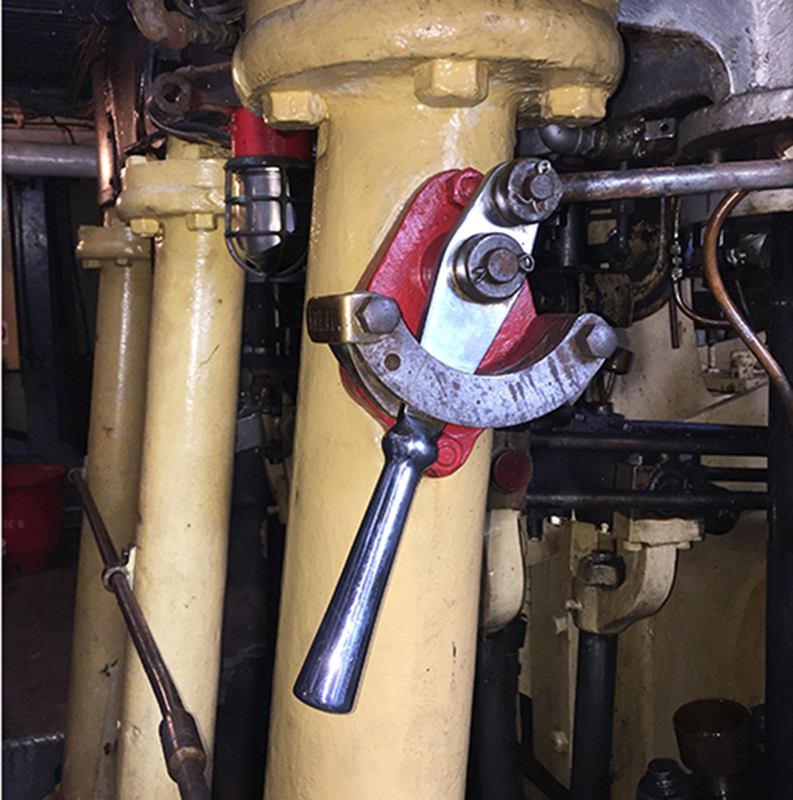 The steam, now cooler, moves to the medium pressure cylinder from above and below the piston. The steam is now at reduced pressure but double the volume. 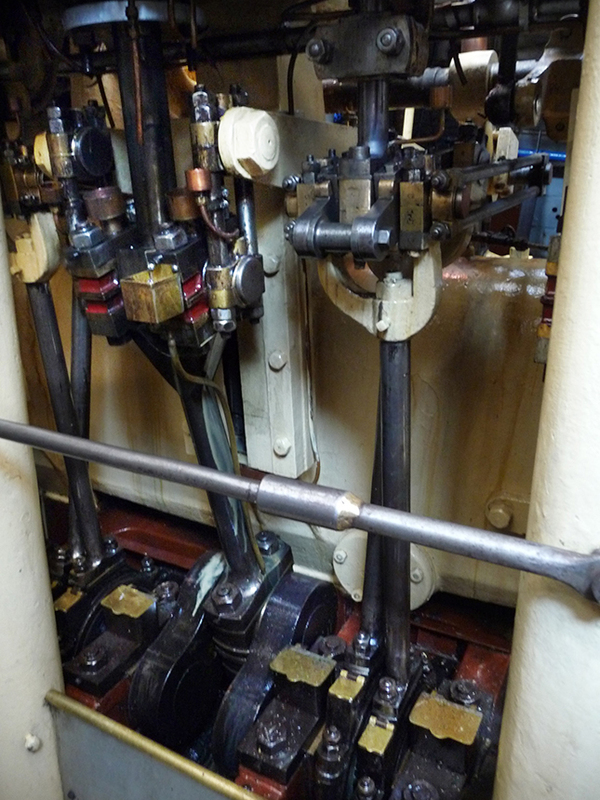 Lastly, the cooler steam enters the low pressure cylinder from above an below the piston. 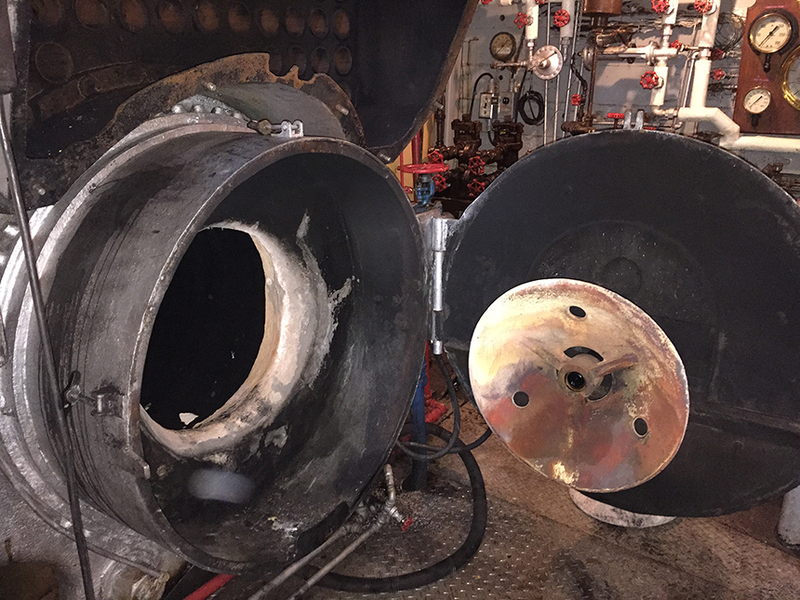 Steam from the low pressure cylinder then travels to the condenser where the steam is converted back to water and then back to the boiler. 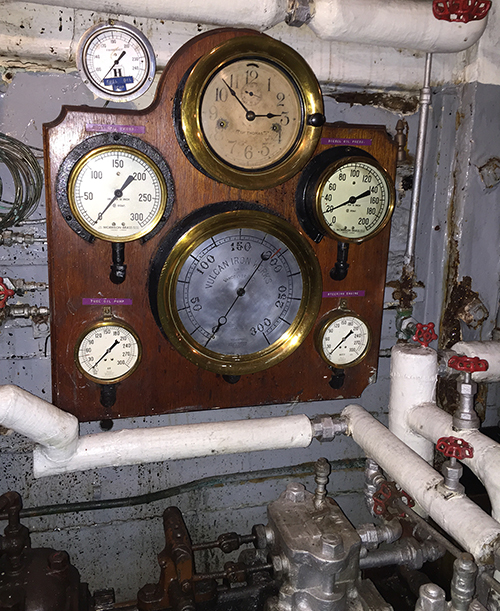 The engine/boiler room is the heart of the Master. 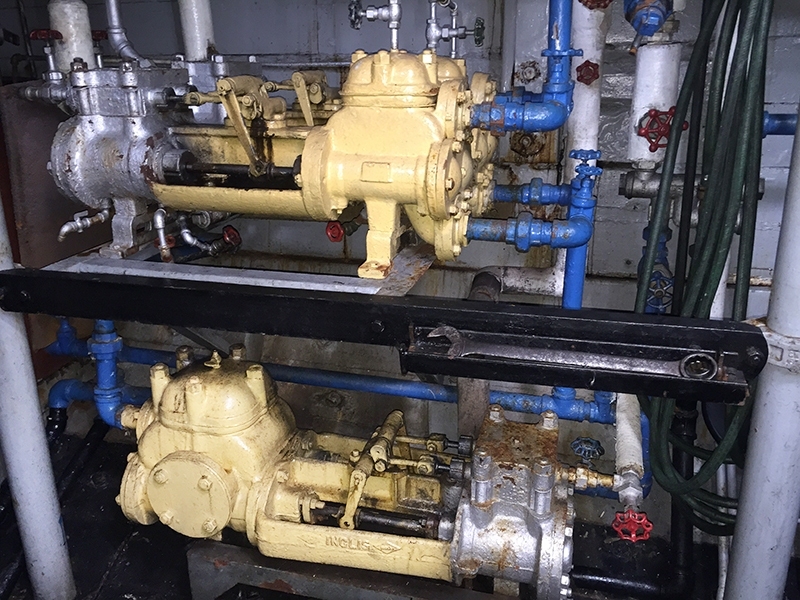 From here her steam is generated and sent to the triple expansion steam engine, and all ship’s systems. 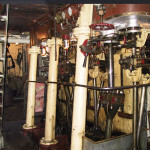 Steam pressures are monitored through an array of gauges and the Telegraph connects the Wheel House with the Engineer and engine room crew. 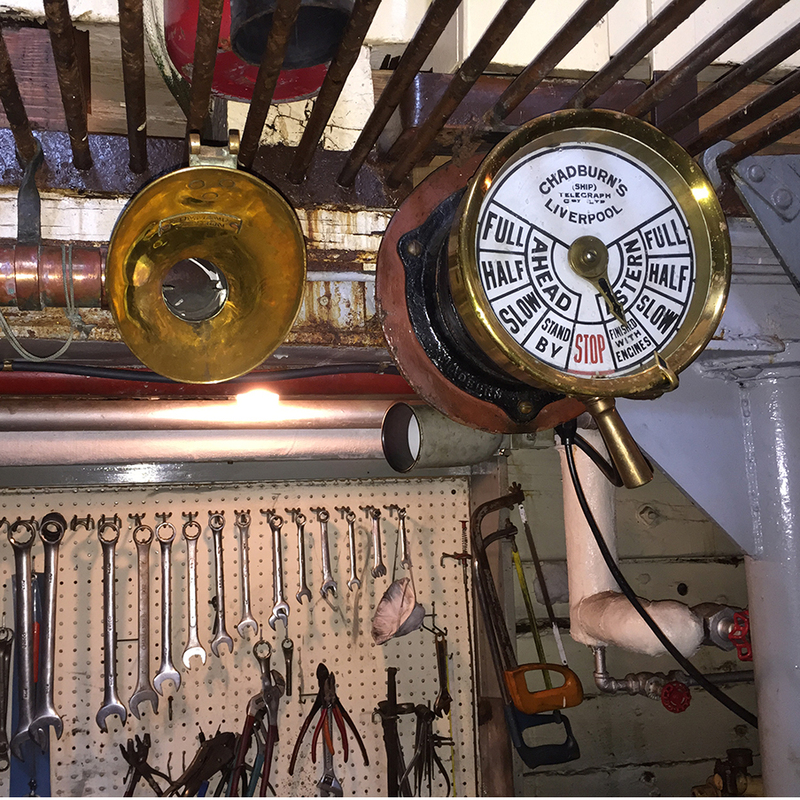 The image at the left shows the starboard side of the engine looking aft. 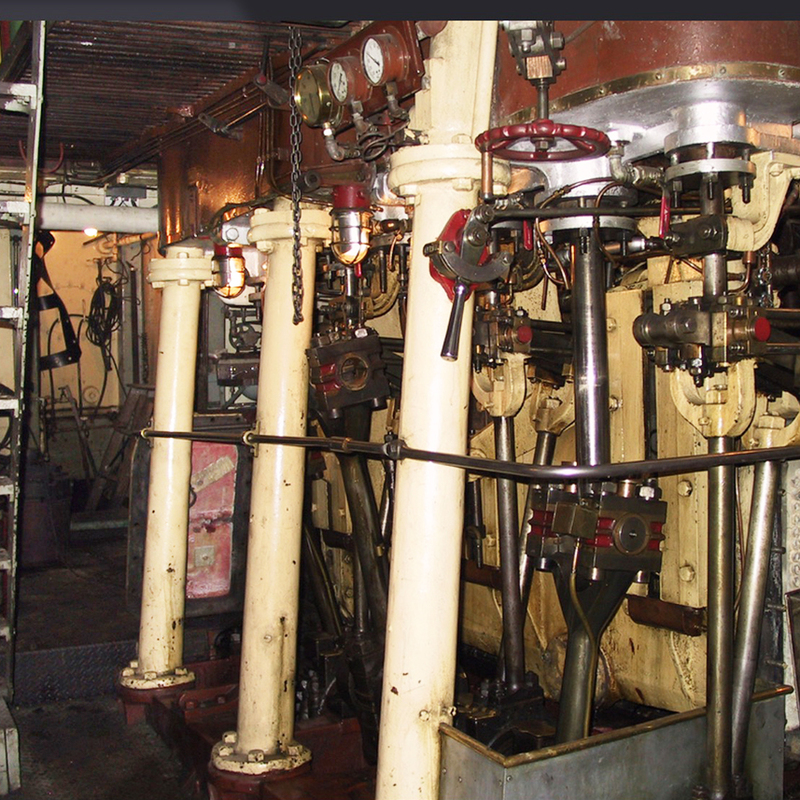 The engine is well below the waterline and the ladder on the left goes to the main deck level. 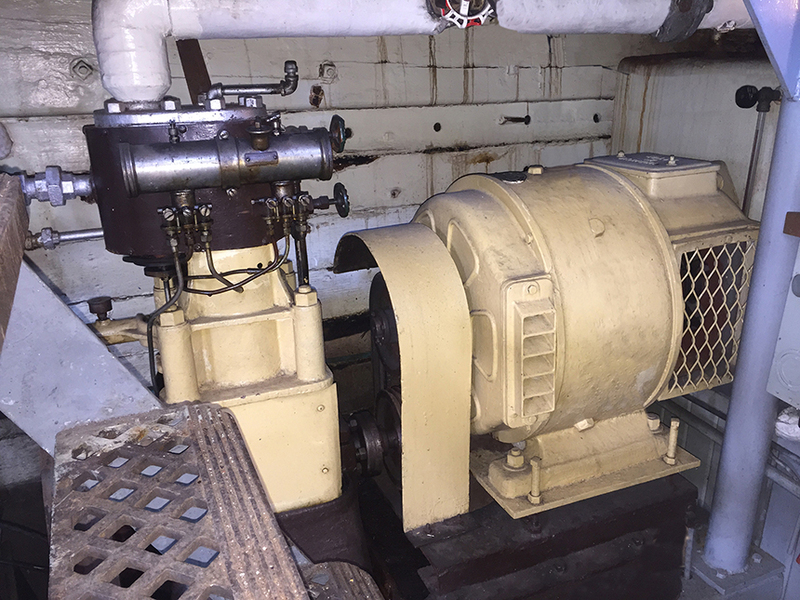 Doug Shaw, chief engineer explains some of the engine room details.